We're aiming to raise £500 to help with the costs of competition such as travel, accommodation and entry fees. It would be amazing to be able to reach this target and help reduce the costs for our members! 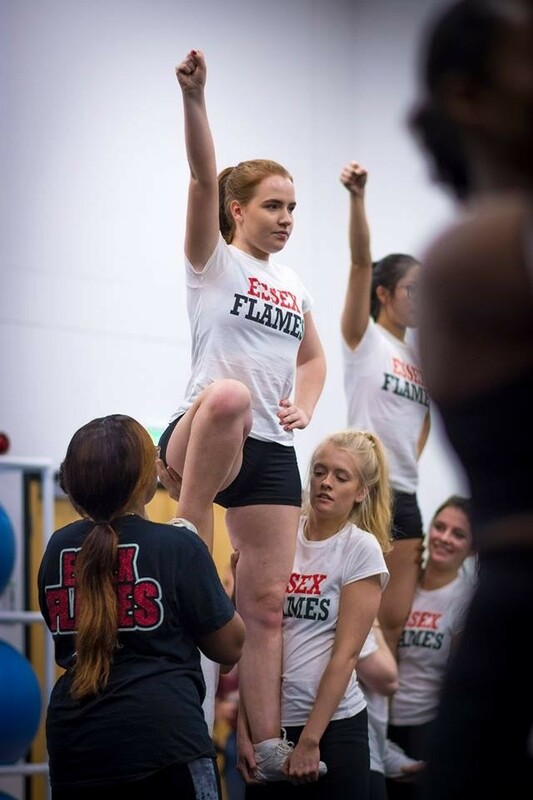 The Essex Flames are a university cheerleading team that compete at national competitions every year. Many of our members have never done cheer before joining university and learn everything from scratch. In addition, we are a gold standard club for our exceptional charity and fundraising work. As a club, we really value giving back to the community. We would like to reduce competition costs for our members which are currently around £100 per member for both competitions. As students this is a lot of money to pay and it is really important to us that we can help our members with the cost and make cheer accessible for everyone. 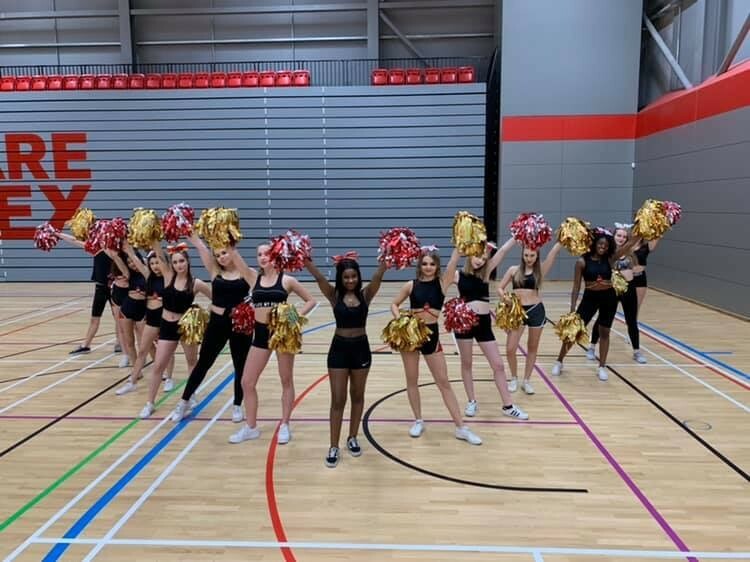 Cheerleading requires a lot of dedication with our level 2 team training up to 3 times a week. We understand extra-curricular alongside studying can be very demanding and we care about the wellbeing of our members which is why we like to do as much as we can to reduce the strain on them. For example, helping them with the costs of competing. By being a donor, you will be able to support the wellbeing of our competitive teams and have a huge impact on the stress levels of our members. The hotel for our second competition is £36 per person and it would be amazing to be able to reduce this to £30 or less. We would also like to reduce the cost of the coach by approximately £100 in total. The remainder of the funds will go towards competition uniform costs for all of our members. Competition tops are required at every competition to ensure members are properly representing the University of Essex and our sponsor, unfortunately, we were unable to do this last year as expenses were extremely high. However, by helping our members through raising money with Click, we will be able to have our compulsory competition tops! By donating you will have the opportunity to get some really amazing rewards. Check them under the Rewards section. You do not need to donate to be able to help us! Even sharing our project on social media would be so useful and as a team, we would be really grateful! You will get a social media shoutout on all our channels! Be entered into a raffle to win a digital image of us at competition and a ticket to our showcase! 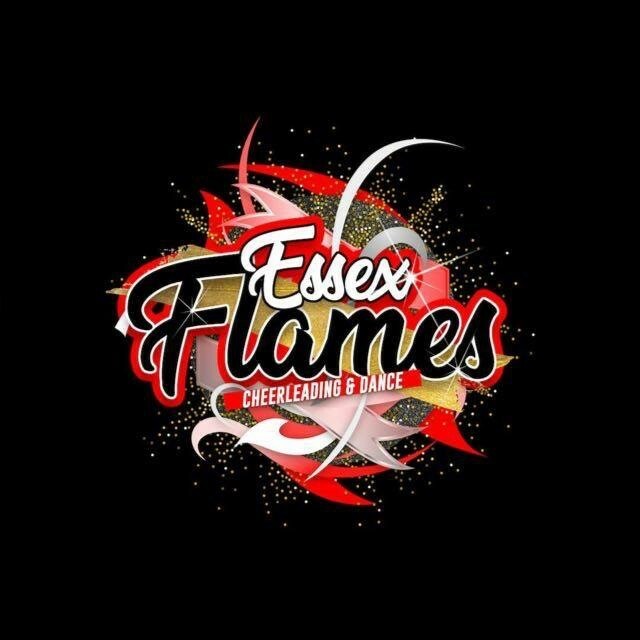 Get Essex Flames Cheerleaders poster signed by all of us! You will get a ticket to our next showcase!